The Tales and the fetching Mrs. Tales on vacation in a secret place, so secret that what happens there stays there, is doing this repeat post from April 2011. 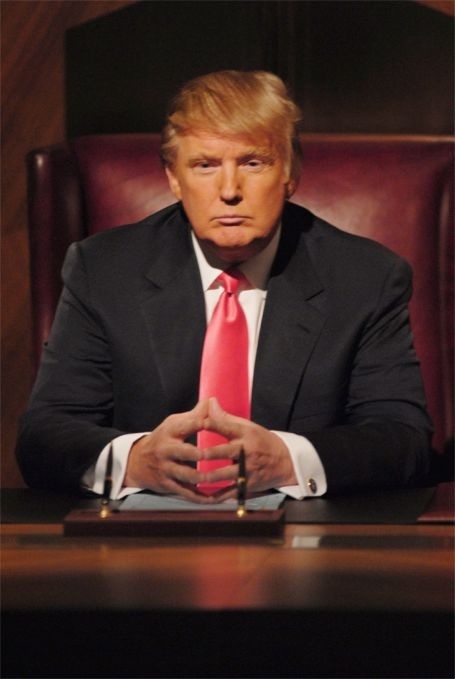 I first published this post regarding Donald Trump way back in April of 2011 when he was considering running for the GOP nomination back in 2012. This post is even more relevant today as he is running for the GOP nomination in 2016. Please, wake up GOP before it is too late; distance yourself from this blowhard. In talk radio there is a term for liberal callers who call conservative talk shows and they pretend to be long time listeners and fans of the show, but then they go on to say how for the first time they completely disagree with the host on a certain issue. These callers have usually been spurred on by left wing blogs to flood conservative talk shows with vehement opposition to a particular issue to make it seem like conservatives are all of a sudden against the host and his/her position. These callers have been labeled, I think first by Rush Limbaugh, as seminar callers. Now all conservative talk show hosts recognize the phenomenon of seminar callers. Now, I submit, we have a possible candidate running for the GOP nomination, I will label as a seminar candidate: Donald Trump. I don't say he is a liberal trying to pretend to be a conservative in the GOP field, but I do say his goal is not the same as conservative Republicans. When in the past have you ever heard Trump espouse conservative political positions and made those positions known to help GOP candidates? Now he comes out and says I am a conservative, I am a Republican. Oh, really? This guy has donated much money to many liberal Democrats but excusing it by saying he is just doing it for good business [his] practice. Well, what the hell? So, how can you call yourself a conservative Republican then? I, like most conservative Republicans, have one thing in mind for the next election: Find the conservative Republican who has the best chance to beat Barack Obama and take back the White House in 2012. Donald Trump's goal: to get as much publicity as he can for the Donald Trump empire, and if in doing so that means Obama is reelected, so be it. I hope he proves me wrong, but if Donald Trump runs for the GOP nomination and loses [as he surely will], I have this feeling he will run as a third party candidate and thereby guarantee Obama's reelection. Just as Ross Perot did in 1992 helping Bill Clinton to victory over George H.W. Bush, and Pat Buchanan almost did in 2000 against George W Bush [Thank God for the 'Butterfly' ballot in Florida]. Both those candidates surely had some conservative views but both were never true conservative Republicans. I don't actually like the term RINO, but Ross Perot, Pat Buchanan, and I believe Donald Trump are true Republicans in name only. If Donald Trump runs for the GOP nomination and doesn't win it and then doesn't run as a third party candidate and strongly supports the GOP nominee, I will happily admit I was wrong. But I am very worried about this situation. He told Sean Hannity that he would not run as a third party candidate if he thought it would mean Obama would win reelection. But all he would have to say, if he does run, is that he is doing it because he knows he can win. And I believe Donald Trump would do it knowing he can't win and knowing that will almost certainly ensure Obama's re-election, but I truly believe he doesn't really give a damn about that because he is not a true conservative Republican. So, I am asking Sean Hannity to stop heaping so much praise on Trump. Sean, if he runs and loses and then runs in a third party, you will lose all credibility if all of a sudden you say it would be bad to vote for Trump. You can't start to then criticize him after months and months of heaping so much praise on him. Please Sean, 'hang up' on this seminar candidate now. Good points Brad. and you bring out a good point I didn't think about. Trump is certainly narcissistic, and an egomaniac. We already have the most narcissistic and egomaniac person ever in the white house [not to mention rude and repulsive] why the hell would Republicans even think about repeating that.